Its always excites me every time I'll be with my Super Friends especially now that most of us are not working together in one company and some already left Qatar for good; that's why I marked my calendar already to make sure that I can be with them in our yearly thanksgiving party. This year, no hotel and fancy clothes and stunning jewelry. 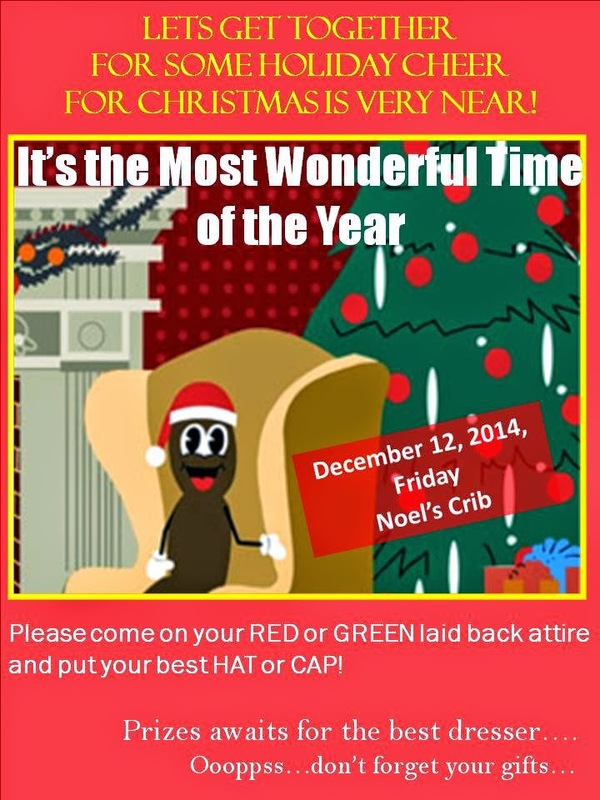 Just arrive at the party on red or green outfit with any kind of hat or cap. As long as you're comfortable with what you'll be wearing and of course confident about yourself you have a big chance to be the best dresser. Its less than a month before Christmas! And for sure like me your calendar is almost marked and weekends are already occupied. Every Christmas season I'm telling to myself not to be stress in parties especially in preparation. Oh well, I really I can stand for it. Though I really love to organize and be involved in party preparation cos I really enjoy pero kasabay din ay ang stress. Just last week I need to confirm kung kailan nga ba yung party don sa kabila and don sa kabila, baka kasi mamaya magkapalit-palit. 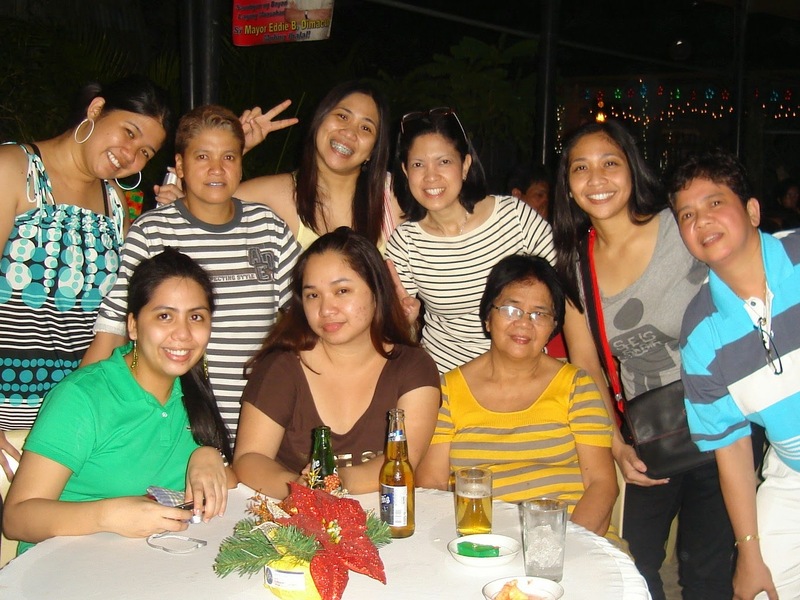 I love attending Christmas/ Year End parties but I used to called it as "THANKSGIVING PARTY". 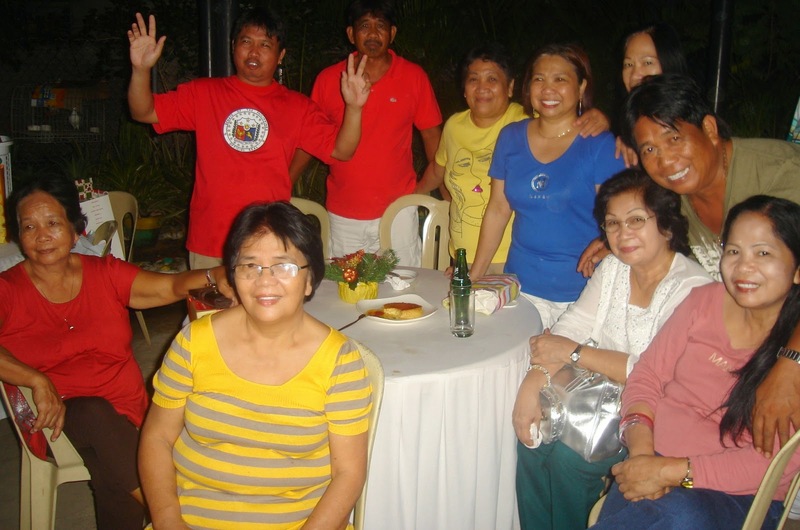 One of the highlight of the Thanksgiving parties is the "Monito-Monita" or exchange gift. On Tito Abet's birthday celebration a week ago, Doha Family already started the first move to make our 2014 Thanksgiving possible and sympre sinimulan namin sa "palabunutan"
I love my "monita" so meaning babae ang nabunot ko :-) at kung sino man sya well abangan on December 19, 2014 ang revelation. Yesterday on our church naman instead of "monita-monito" we received an envelope na may letter at nakasulat don ang name ng 2 bata with their age, then sila naman yung bibigyan ng gifts. The other party naman with SF is a common gift or unisex; since we don't have much time to meet each other before our party on December 12, 2014, we decided to bring gift that will fit to either babae or lalake. Exchanging gift for me is one way to symbolize giving though we can give to others without waiting to have something to receive. 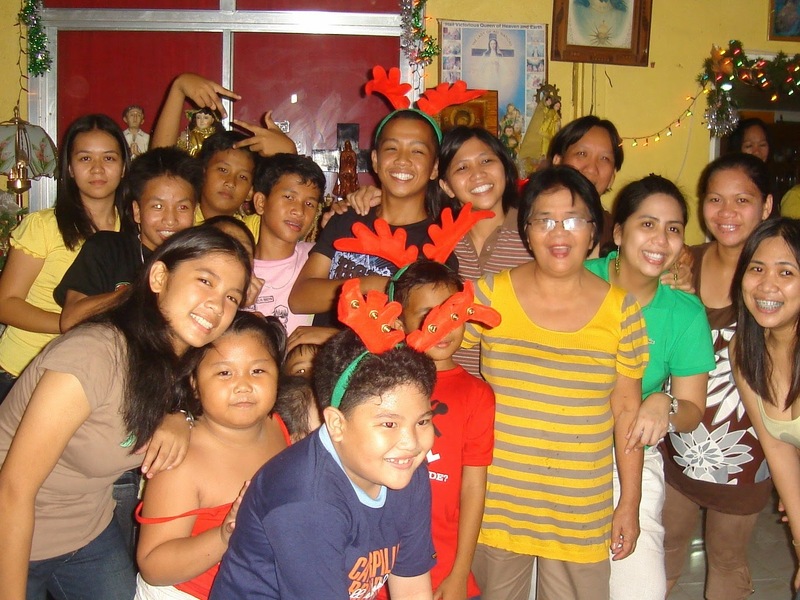 True essence of giving must come from the heart, hindi pakitang tao lang na naghihintay ka lang to be praised. And if you'll be giving gifts naman to your family, friends or colleagues its not necessarily na expensive then afterwards puro utang ka; we need to understand and practice that we should give according to our resources also, hindi din siguro magugustuhan ng niregaluhan mo kung malalaman nya na kaya ka lang nagkautang is just because dahil sa kanya, though we really want to give the best of everything to our loved ones and friends but its not right for us to suffer in the end. We need to balance our resources or finances as well. 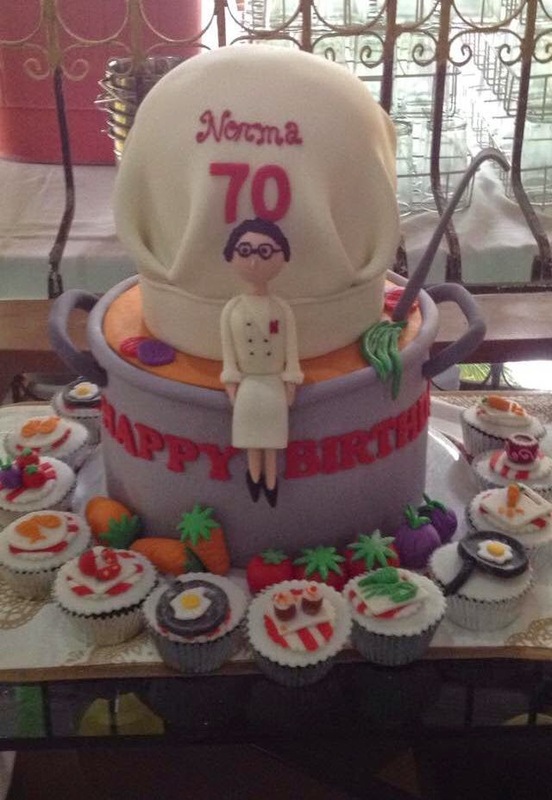 Happy 70th Birthday Tita Mama! Celebrating milestone with the family is one of the so many reasons that make us homesick being away from home. 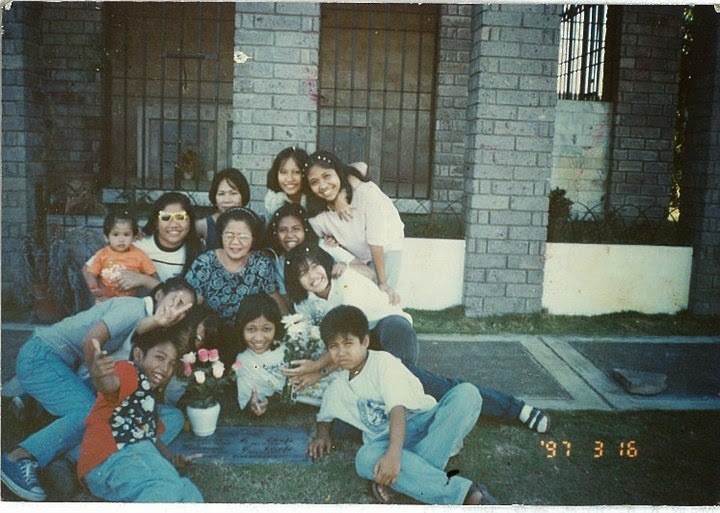 Today, another family celebration na naman ang namiss namin, its our dearest Tita Mama's 70th birthday. Norma, is Mommy's elder sibling. 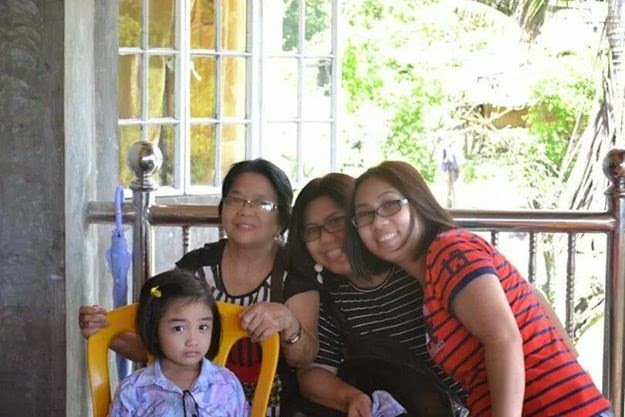 Nakagisnan ko na ang tawag namin sa kanya is Tita Mama while we are growing up naging Tita Ma and sometimes Mama Norma, until now even the youngest generation in the family call her the same. I guess everyone in our family will agree if I say she's one of the generous within the family. 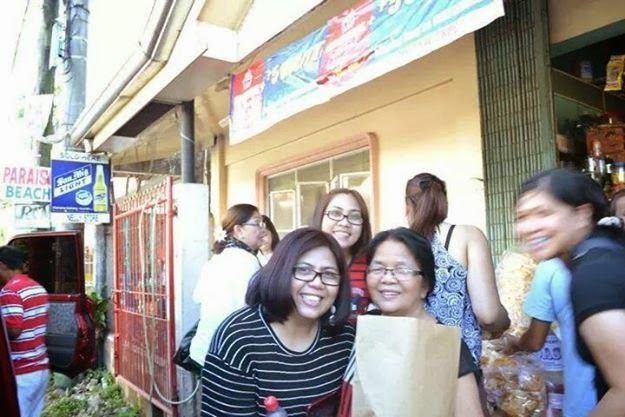 I remember nung pumapasok pa ako sa Day Care Center, since her canteen is located near SWA, dadaan muna kami sa kanya and even may mga baon na kami hindi pwedeng hindi nya pa rin kami bibigyan hanggang sa nagelementary, college and even nagwowork na kami, Tita Ma has always preparing something for us every time we passed by and would you believe until now na nagwowork abroad na kami, she never fails to have something for us from food, clothes and sometimes even money. Just recently after my vacation sabi ng sister in law ko, Tita Ma is waiting for me daw hindi na kasi ako nakadaan sa kanya before ako umalis ng Pinas,which usually dumadaan talaga ako before magflight sa kanila, meron daw sya dapat ibibigay na bedsheets and 100$ for me kasi di na daw sya nakabili ng kahit ano para ipabaon sa akin. We have so many memories with Tita Mama, she sponsored my year book when I was in highschool, she and Tita Atit kapag ibinibili nila kami ng damit magpipinsan pare-pareho talaga magkakaiba lang ng color sympre para daw walang inggitan :), kapag birthday, graduation or any special occasion she always handed something.I know hindi lang sya sa amin generous cos we are a witness kung gaano sa mapagbigay even sa catering staffs nya, kaya naman everyone knows "Tita Ma"
To our dearest Tita Mama, we are very thankful to the Lord for giving us a generous, thoughtful and caring tita. Though we're not in the Philippines to personally celebrate with you your birthday, you will always in our heart and thoughts and your birthday will always be remembered. Just pahabol na kwento, yesterday ka-skype namin sya, and she's saying na magpapadala sya ng money so we can celebrate her birthday too...awww how generous she is! but we insist that we're ok here and may mga family celebration din naman kami na gagawin dito. Many more birthdays to come! It should be posted on Facebook account but I don't know what's wrong why I can't post any photos. Anyways, maybe you all know the Black and White Photo Challenge and this is the reason behind this. I was tagged by a friend Abhie on B/W Photo Challenge thru IG yesterday. I love taking photos, hindi pa uso ang digital camera at film pa ang ginagamit marami-rami din akong naubos na pera sa pagpapadevelop ng kung ano-ano lang naman ang pinipikturan ko :) Minsan nangarap din akong maging photographer pero due to some personal reason hindi ko kinalimutan ko na ang pangarap ko na yon ^_^ pero who knows magkainterest ulit ako. Back to the challenge, here is my B/W photo; instead of posting new photos I decided to pick some I kept on my archives. Here's my 1/5 picture. This Bible was gift to me by my college classmate Atty. Rickson Buenviaje and his friend Kuya Rommel Magboo on my 18th birthday. It was given to me during my birthday celebration (10 days after my actual birthday), March 19, 1999. One of the most precious gift I ever received and until now I still have this. #1/5 B/W Challenge - post black and white photo for 5 consecutive days and pass the challenge to a friend.